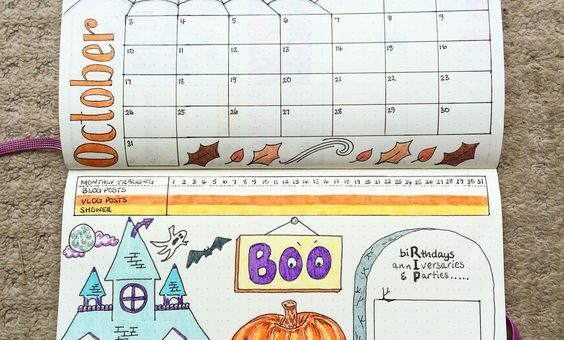 A Halloween bullet journal will help you stay organized while also getting you in the spirit. It can be busy during this time of year and time seems to fly by. A bullet journal can help you slow down, make plans for the season and capture memories from an enjoyable Halloween. Just like with any bullet journal, be creative and add your own flair. 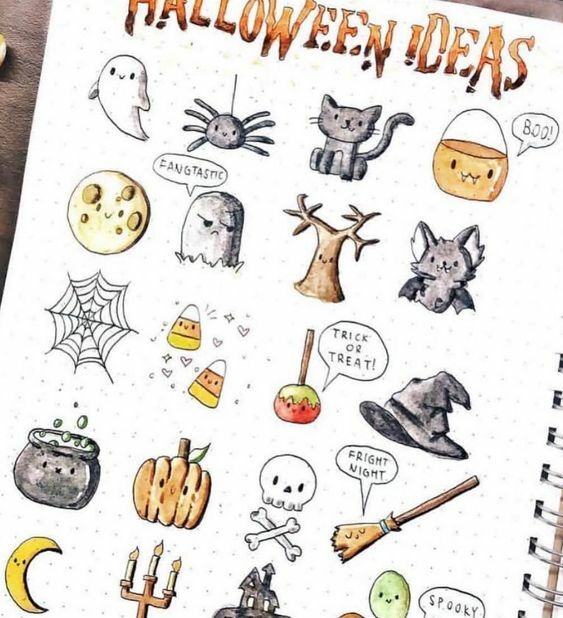 Have fun with Halloween themed doodles, stickers, stamps, washi tape and headers! 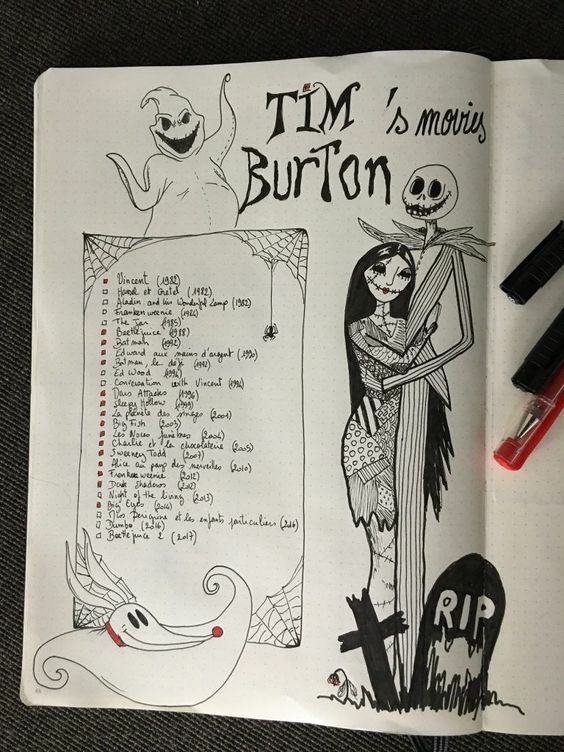 The Page Flutter site has some creepy ideas that will turn your bullet journal into the perfect Halloween theme. A Halloween bucket list is a must for every Halloween bullet journal. There are so many fun activities going on during this time of year, a bullet journal will help keep you organized! Make a list of things you want to do like go to a haunted house, carve pumpkins, go to a Halloween party and more. This is also a great time to add dates and create a schedule so that you can fit all of your bucket lists items into your busy life! 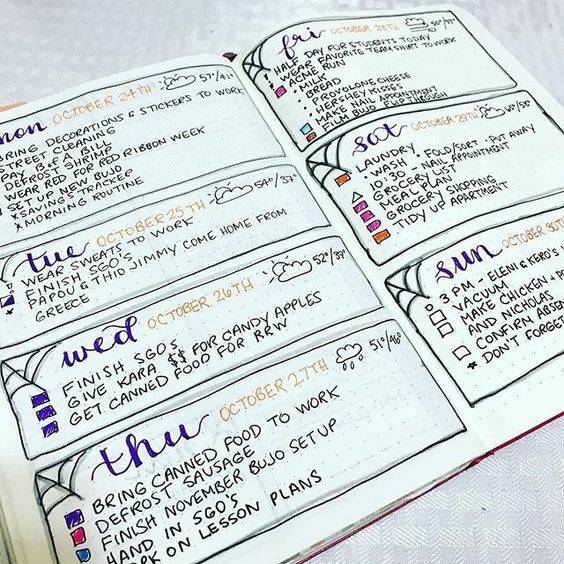 Thanks to @alexandra_plans on Instagram for some great ideas for daily pages for your bullet journal too! If you are anything like me, you have to decorate for Halloween. A bullet journal can help you keep an inventory of all of your decorations and help you map out how to decorate. Creepy quotes are a great addition to your bullet journal. You can use these to decorate and to get in the Halloween spirit. Include creepy quotes throughout your journal like, “It’s just a bunch of Hocus Pocus”. This will also give you ideas to update that cute decorative letterboard you have for the holidays. Get even more great ideas like this from the Petite Planner. Get in the Halloween spirit by making a list of your favorite spooky books, movies and shows. It is the perfect time to pick up some of those scary books you have been wanting to read. Or keep a schedule of Halloween movies and shows that are airing on television. I can never miss a year of The Simpsons Treehouse of Horror and it is always fun to watch Charlie Brown and the Great Pumpkin each year. Of course you have to have a list dedicated to your favorite candy and what treats you want to pick up for trick or treaters. Also, use lists to keep track of past costumes to help you reminisce on Halloween. Or even lists of future ideas for your costumes. A Halloween bullet journal will help you stay on track during the busy holiday season while also getting you in the Halloween spirit. This is also a great time to add polaroid photos to record your memories. Keep your bullet journal after as a momentum and scrapbook dedicated to Halloween. Looking to make the perfect bullet journal for fall in general? Check out our blog for tips!